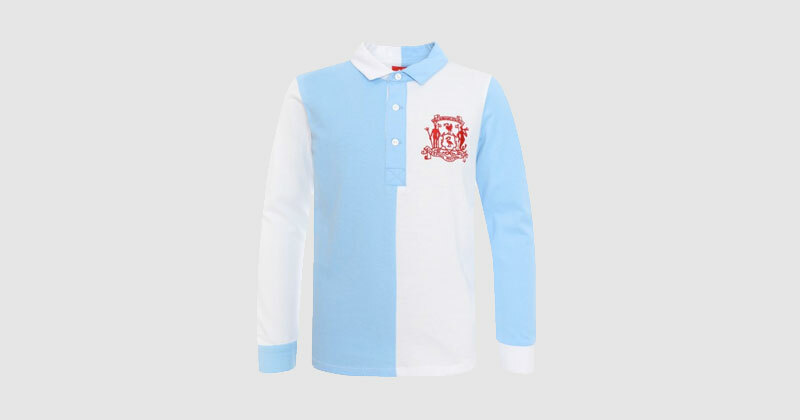 Whatever your opinion of retro shirts, there’s no denying they now form an important part of the football shirt industry. With specific designs becoming more and more expensive to pick up, retro remakes offer an affordable alternative to owning that kit you’ve always dreamed of. As their popularity has grown, so too has the quality of the shirts themselves. In fact many retro kits are now so faithful to the original that’s you often need to get up close before you realise any noticeable differences from an original. 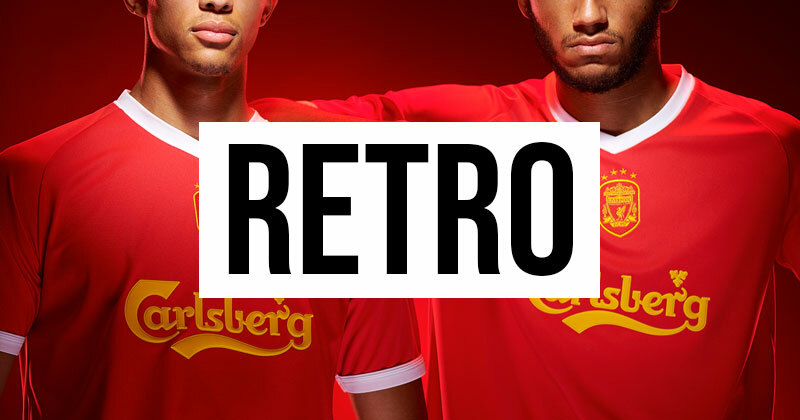 Liverpool are no strangers to a good retro kit, and their latest collection of old-school kits has just dropped in time for the nail-biting end to the season. As you’d expect, the shirts available span the decades with everything from 1892 to 2005 (feel old yet?) represented in kit form. I’ve sifted through the options to give you my 5 favourites. Ok, I’ll be honest. I started with this because it made me smile that a shirt only 14 years old can be considered retro! 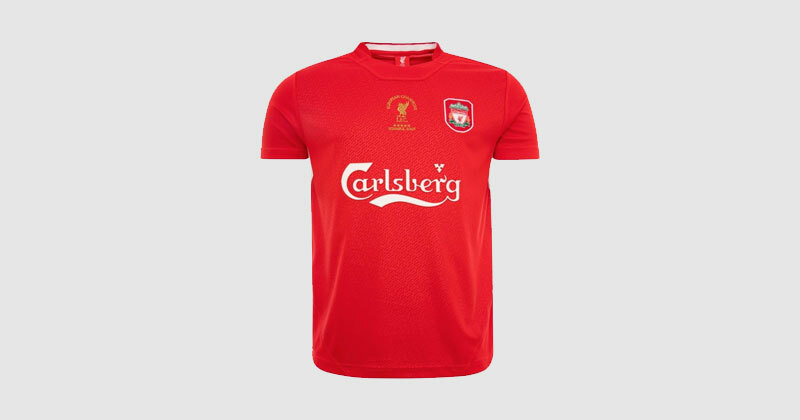 Still, the Champions League win in 2005 was arguably the greatest European final of all-time, and this shirt is a superb way to commemorate that sacred night. The details are fantastic, with a subtle pattern across the chest just like the original and embroidered gold detailing next to the crest. On top of all this, you can add the name and number of some of the heroes from the final. Suddenly the memory of Xabi Alonso can live on. 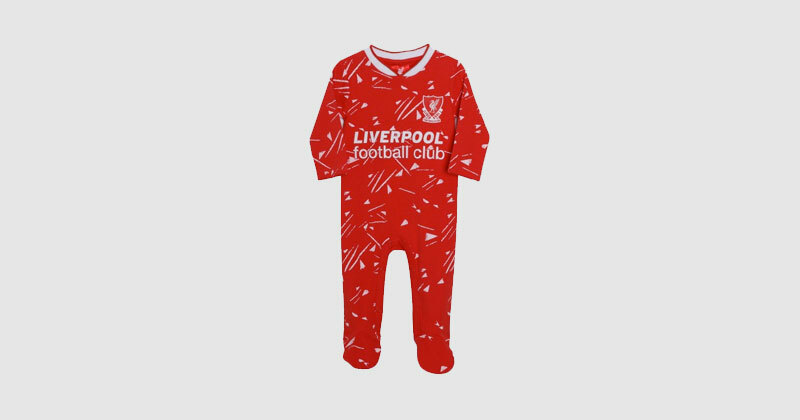 Liverpool’s 1989 home shirt is the greatest shirt they’ve ever had, so of course it makes the perfect inspiration for a baby sleepsuit. The end result is wonderful, with the speckled triangular pattern instantly instantly evoking memories of the glory days. 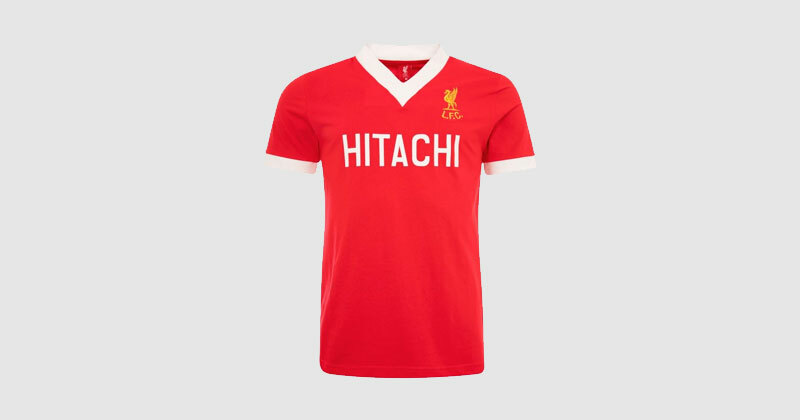 Did you know Liverpool were one of the very first clubs to use a shirt sponsor, thanks to their partnership with Hitachi in the 70s? Not only were the Red way ahead of the curve with that deal, the shirt itself was a stunner. Last year’s home kit, a modern-day classic, took inspiration from this particular kit amongst others. Many people consider the West Germany shirt of 1988 to be the best design ever created. Amazingly, despite never using the design for a kit, Liverpool got to share a slice of the pie with a range of gorgeous tracksuits back in the day. The look still holds up very well today. 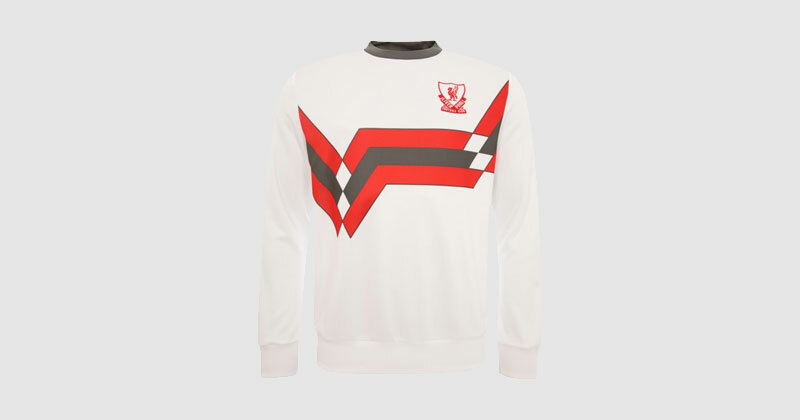 For the younger members of the household, this retro shirt based on Liverpool’s first ever kit is exactly what the doctor ordered. The design, notable for it’s bold use of blue and white, is as smart as they come. What’s more, at £20 this is an absolute bargain. To see the full collection, visit here.